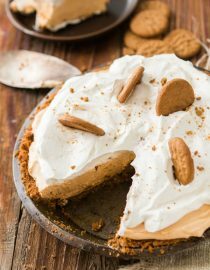 No bake pumpkin pie with gingersnap crust has become the most asked for recipe around the holidays and once you try it you’ll know why! Where Can You Buy Pumpkin Spice Pudding? We’ve had a lot of questions about where to buy the pudding. We got ours at a local Kroger and Walmart or it’s on Amazon Prime. I bet you can guess who’s recipe this is. Cade did not name this one but he did shovel it in as fast as I did. And then I had a piece for breakfast. My first time ever eating pie for breakfast. And it was soooooo worth it! So, it’s a fruit. … But many fruits which are not sweet, such as tomatoes, beans, green peppers, etc., are popularly called vegetables. Looking at it that way, a pumpkin is a vegetable. When people cook or bake with pumpkin, it’s treated like a vegetable. 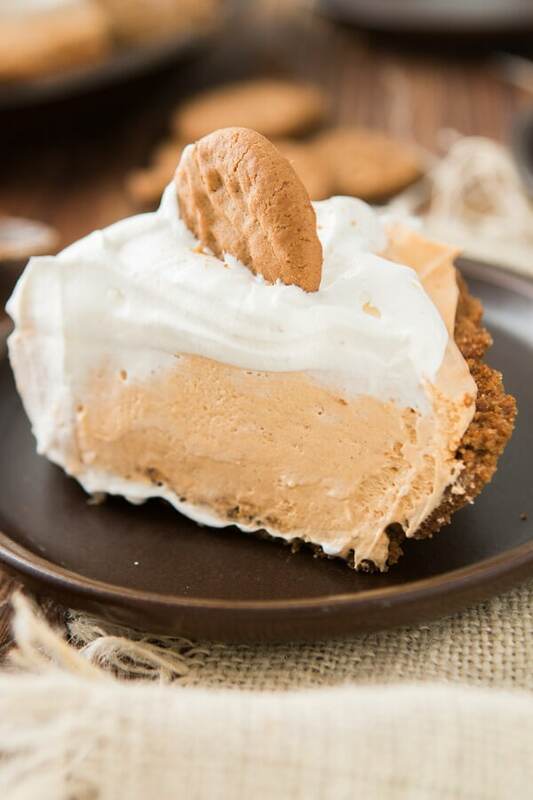 Luscious no bake pumpkin pie is my new thing. As is pie for breakfast. I totally get why people do that after Thanksgiving now. Good mercy. 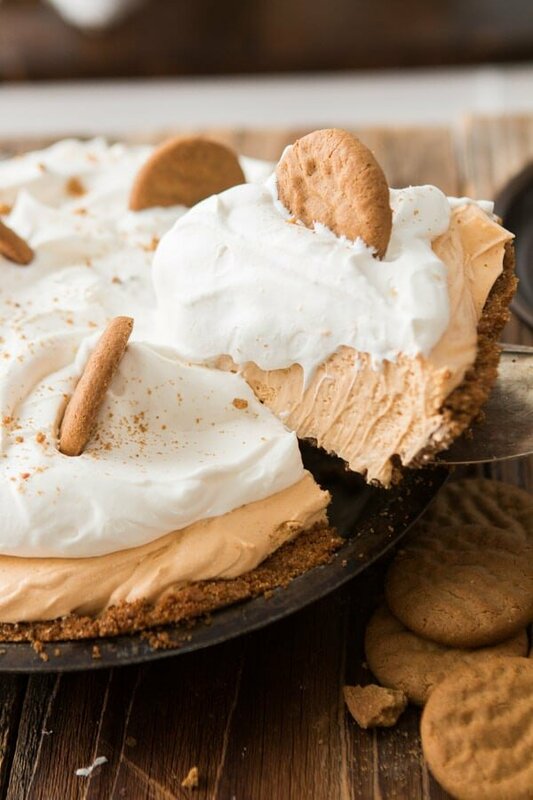 Freeze the pie for up to a month. 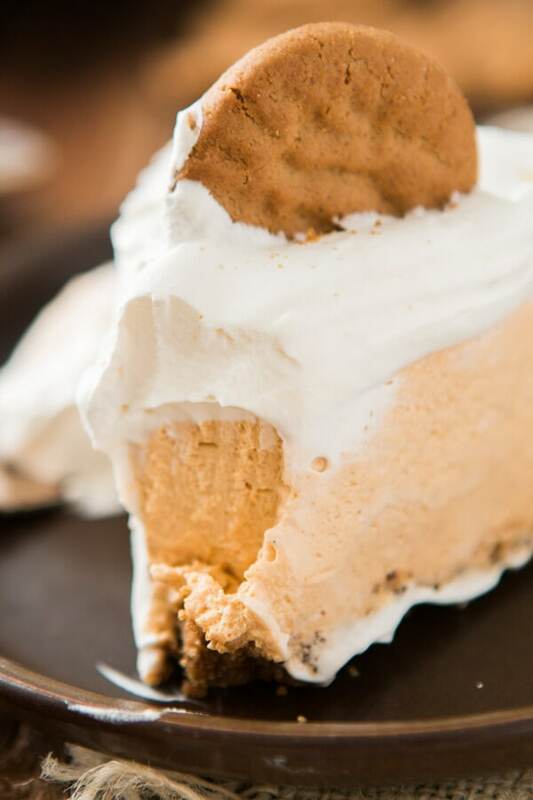 Remove the pumpkin pie from the freezer and keep it in the fridge 10-12 hours before you want to serve the pie. If you thaw it at room temperature, the filling may “weep,” resulting in a soggy crust. 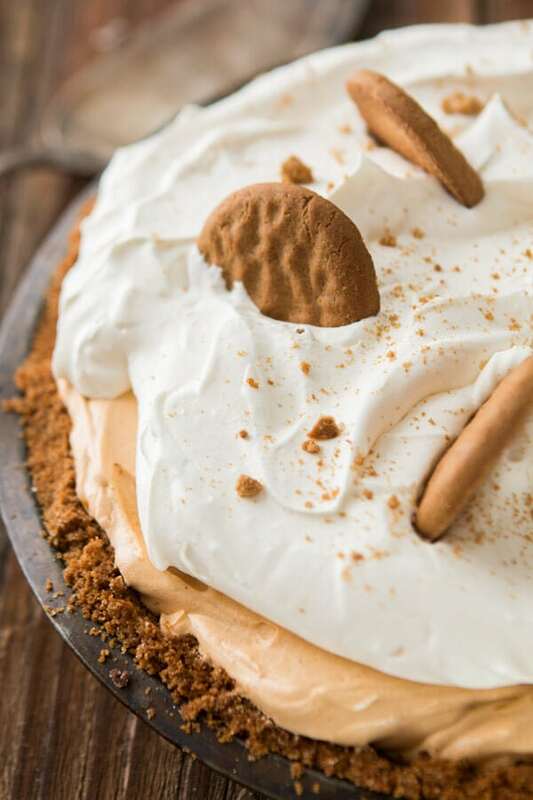 Last year I was thinking about our dulce de leche banana cream pie which is all kinds of amazing and I suddenly had the bright idea to make a pumpkin version. 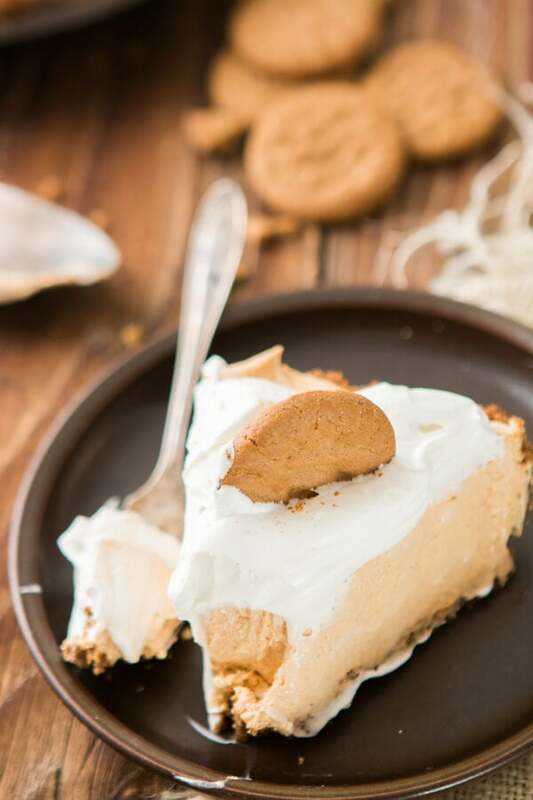 So the first week of January when everyone was dieting I started testing a no bake pumpkin pie. What? I had just had a baby! I deserved pie! 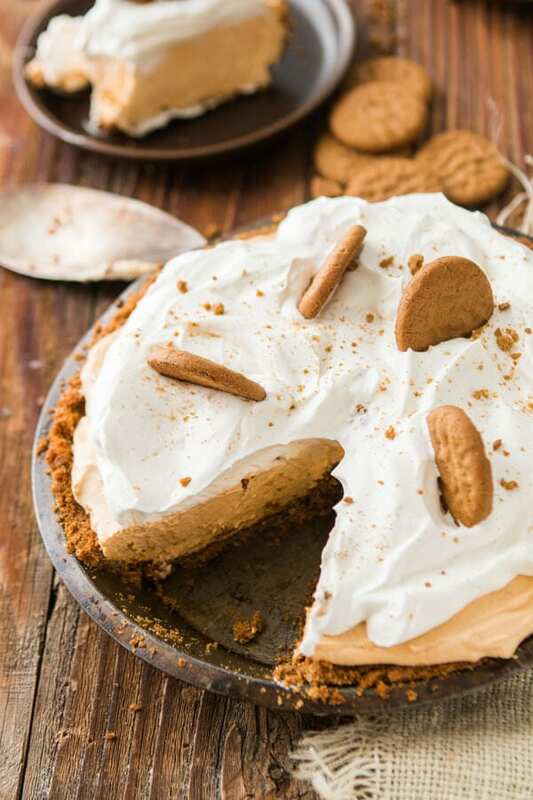 So many readers want to know how to make a simple pie, a fool proof pie, a no bake pie, anything to make sure their pie turns out for the holidays and this has been the perfect solution. The crust kept bothering me. Pumpkin pie makes people nervous and half of that is because of the crust, so I turned to good ol’ store bought ginger snap cookies. I needed strong flavor to keep up with the pumpkin, something holiday-ish, and something crisp. The gingersnap was perfect but I didn’t want to bake a bunch just to crush them so while you can totally go completely from scratch I chose to use store bought. All I did was crush them, add brown sugar and a pinch of salt then stirred in melted butter. Oh butter, how I love thee. You could probably even brown the butter but I think it has plenty of flavor as is. If you forget to soften the cream cheese just do what Barbara Bakes taught me, stick the sealed cream cheese (foil seal, not the box) in a bowl of very warm water and it will be soft in minutes. 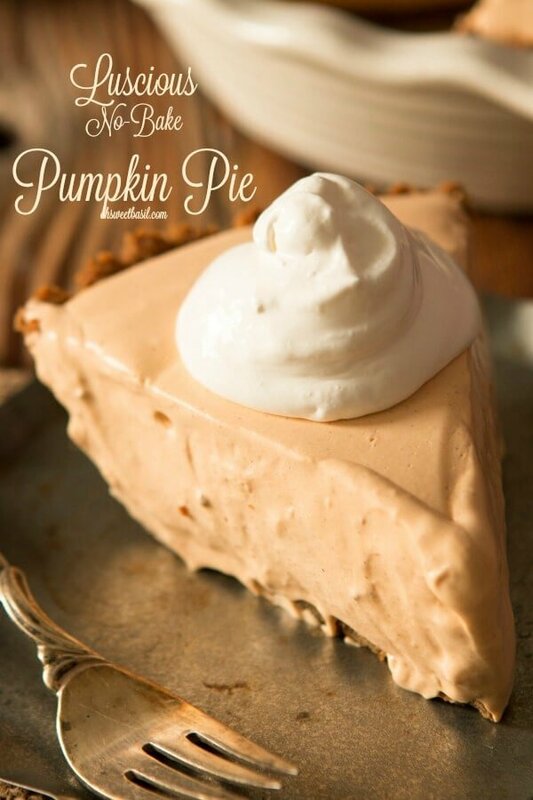 And you can totally serve it with a dollop (every time I say that I think, dollop of Daisy from the sour cream commercial) of whipped cream but I actually don’t think this pie needs it and I never say that about pumpkin pie. My gosh that stuff is good. 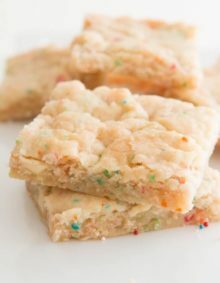 In a bowl, combine the cookie crumbs, brown sugar, salt and butter. Stir to combine and press into a deep dish pie pan. Bake for 10 minutes and allow to cool completely. 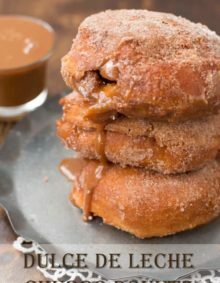 Scrape down the sides of the bowl and add the sweetened condensed milk. Beat until smooth and scrape down the sides of the bowl again. Stir the pudding into the cream cheese mixture and fold in half of the whipped cream and then the remaining whipped cream. Place in the fridge to chill for 1 hour before serving. The crust can be made and covered 2 days prior. The entire pie can be assembled 2-3 days before serving and stored in the fridge. Make sure you don’t put any saran wrap over the top until the top is set, about 2-3 hours. 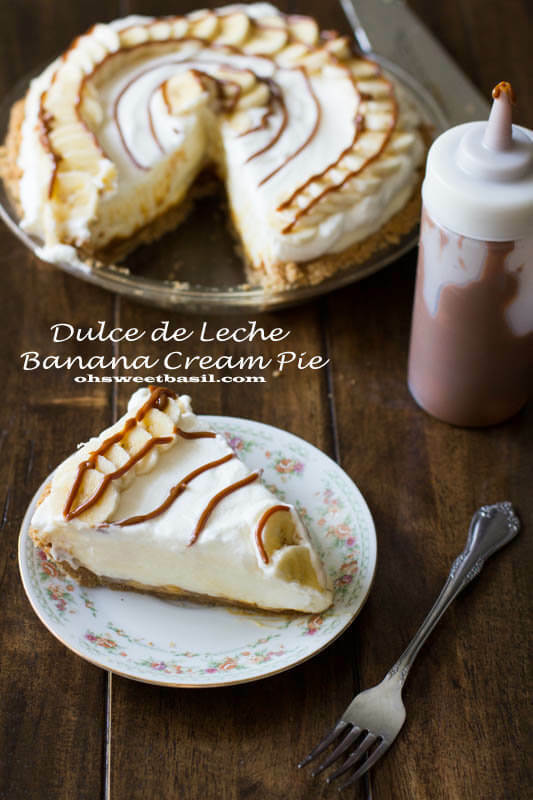 Cade’s absolute favorite way to eat a banana cream pie involves dulce the leche! 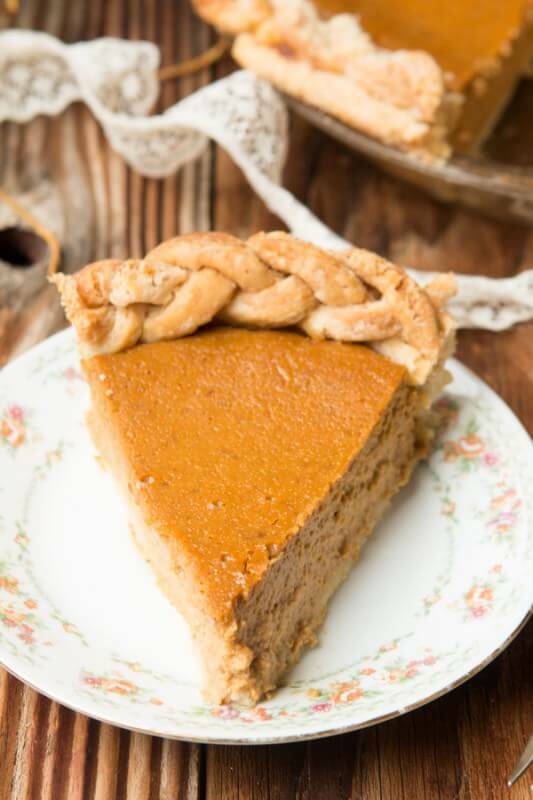 How to make the perfect, classic pumpkin pie takes a few simple steps. 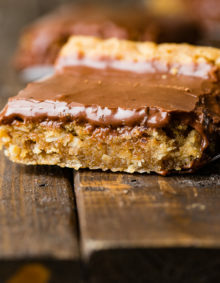 Want a yummy pumpkin dessert that isn’t pie? 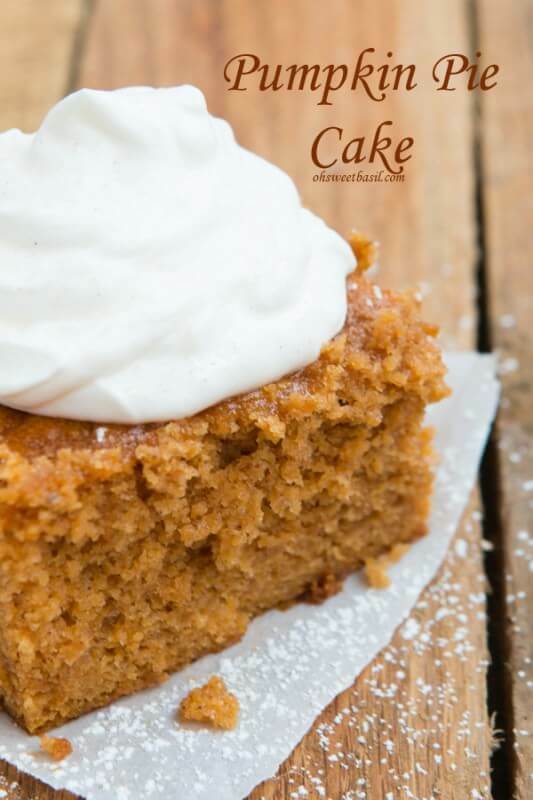 Try this moist pumpkin pie cake! We made some extra to go on top!